More than 500 customers had a taste of the Biesse experience at the Italian manufacturer’s 900 m2 stand of the during FIMMA 2018, the largest furniture machinery trade fair in Spain. The Biesse Ibérica stand offered an opportunity to experience the innovation of the brand, along with the power of its history and its ability to define the technological characteristics of the future of the manufacturing industry. 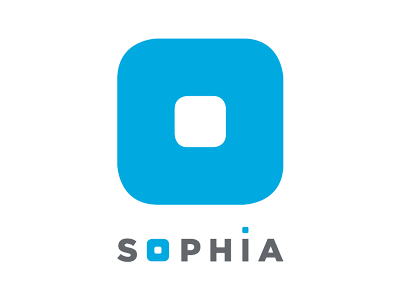 As its star attraction for the event, the company presented SOPHIA, the new Internet of Things (IoT) platform, produced in collaboration with Accenture, which will help customers to make their businesses more profitable. It is based on the connection of machines to the cloud with the possibility of sending data and information in real time about the technology being used, in order to optimise the performance and productivity of the machines and systems. In the software section of its stand, in addition to SOPHIA, Biesse also presented bSuite: a coordinated set of advanced software tools that allow anyone to have access to the most cutting-edge technologies. bSolid is a 3D CAD/CAM software program that supports the performance of any machining operation thanks to vertical modules designed for specific manufacturing processes. It offers design without limits in a few clicks and simulation of the machining operations to visualise the component prior to manufacturing, as well as providing guidance during the design phase. A total of 11 operating machines were on display, aimed at all professionals working with wood, from large plants with high production volumes to businesses producing thousands of unique products in order to meet customer requests for customisation, to small companies that retain many of the characteristics of artisanal manufacturers. Customers were able to see a live demonstration of the Rover B 1950, a numerical control machining centre aimed at the advanced craftsman and large-scale industry. Fully configurable and offering high-performance, it guarantees a high-quality finish and reliability in any conditions of use. The machine presented during the trade fair was configured to work on windows, with the possibility of using multiple tools with masked change times, without any repercussion on the production time. Its innovative technology responds to the needs of production flexibility without sacrificing productivity. Also present was the Rover A Smart, the simple and intuitive 5-axis NC processing centre that makes it possible to manufacture any type of furnishing item. Customers could also see a Rover A FT running with the additional benefits provided by the Winstore automated warehouse. This entry-level processing centre for nesting machining operations is aimed at craftspeople and small enterprises, offering top-of-the-range technology at a competitive price. 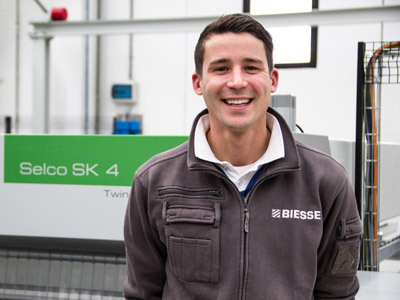 Biesse presented as its sanding solutions the Opera 5, the new finishing centre designed to meet the needs of small and medium industries that require versatility and high levels of technology, and the Viet S211, the most compact sander-gauge with the best features in its category, ideal for a small artisan workshop, which knows how to meet all the needs of small calibration and first sanding processes. Three Biesse edgebanding machines were exhibited during the trade fair: the Akron 1330 is an automatic single edgebanding machine designed for artisan producers and custom production departments in industries seeking simplicity and flexibility of use in compact spaces. The Jade 240, besides being very easy to use, is the best option for a tight budget as a result of its low cost and long-term reliability. With Stream A 5.0 it is possible to ramp up production up to 2 work shifts. 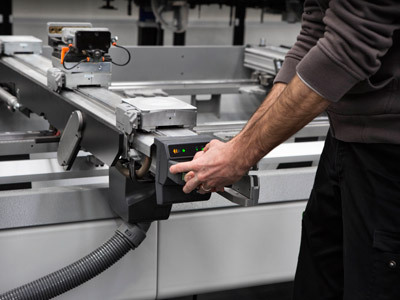 It adapts seamlessly to any machining needs thanks to its configuration possibilities. SELCO SK 450 is a cutting centre designed to satisfy the needs of small to medium-sized enterprises. It is easy to use, has advanced technical solutions and features great standard equipment. The SELCO SK 4 has become the new benchmark in its sector. Finally, customers were able to get to know two machines specialising in boring and drilling: Brema Eko 2.1 is a new compact and versatile vertical boring machine that supports the machining of different thickness and size formats within a reduced footprint. Meanwhile Skipper 130 is an NC processing centre that allows the processing of panels of completely different formats in sequence, and without interruptions.